Christian Gervais had never caught a fish until his son had asked him to go fishing. Not knowing where to start, he headed to the tackle store and loaded up with fishing rods and tackle and took his son shore fishing. It was during that winter season, that his friend showed him his bass boat and Christian decided that he needed to get out on the open water in order to catch more fish. After hundreds of hours on the water and many fish later, he decided that fishing was in his blood. He says, "12 months a year, 7 days a week, I am on lots of forums, read my Bassmaster magazines and FLW Bass, start a blog on Facebook, videos... name it. I do the best that I can to learn as much as my brain will contain". It was in 2013, that Christian decided to enter the tournament angling world. Having waited until his family was raised, his children were now at the age where he could take time to fish competitively. This was also the same year that he purchased his first bass boat, a brand new Stratos 186XT with a 115HP. With an overall position of 14th place as a co-angler in his belt and now a bass boat to call his own, Christian became sponsored by The Rod Glove. As he explained,"... at that point, my dreams were starting to come true!" Christian has been using products from The Rod Glove going on three years now. Christian is the type of person that puts 500% into everything that he does while still having fun. 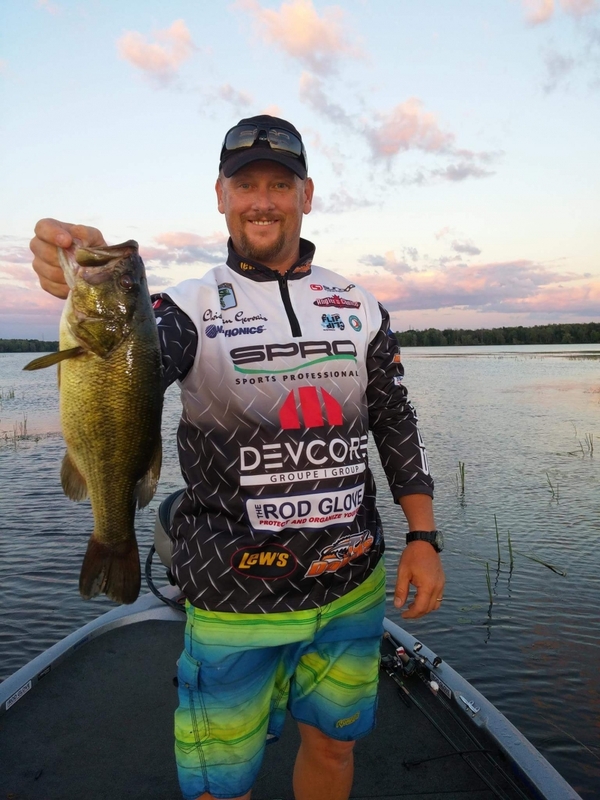 Having just started his fishing career, Christian Gervais is a very passionate angler and one to keep an eye on as he builds on his knowledge. We recently caught up with Christian to discuss his plans for the 2016 tournament trail and he gave us some insight into his plans for the year. "For 2016, I will be fishing my regular bass tournament series (Ultrabass Outaouais) and doing the Renegade Opens. If all goes well, I would also like to compete in a FLW Canada tournament or the Berkley B1 this upcoming fall. When the tournament season ends, I usually bring different anglers fishing with me and make them live the dream by catching some nice bass on big bodies of water like the St. Francis in Cornwall". To follow Christian Gervais you can like and follow him on Facebook.